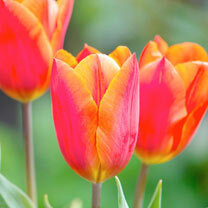 Flair (Single) - An early tulip variety with blooms that are bright red and yellow. 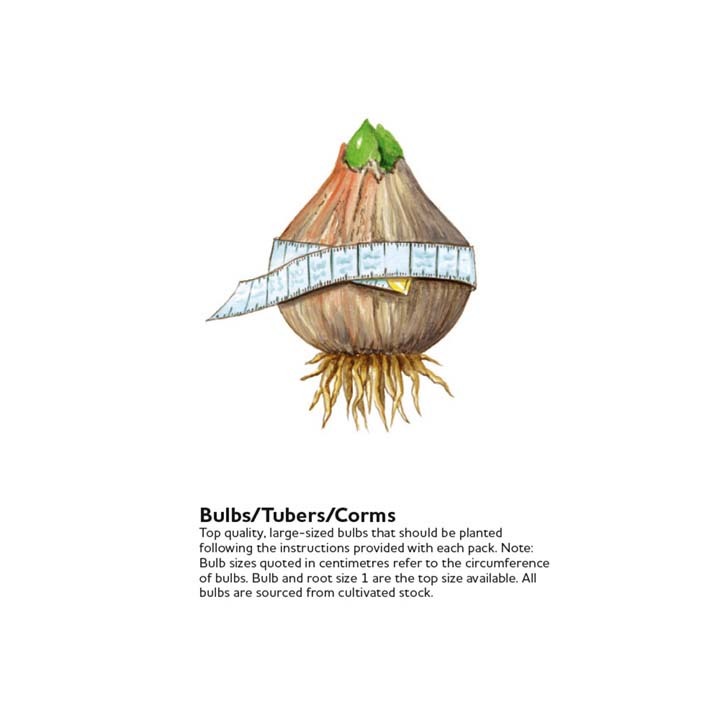 The flowers are large, have a long flowering period and of a strong constitution. Early Flowering. Height 45cm. 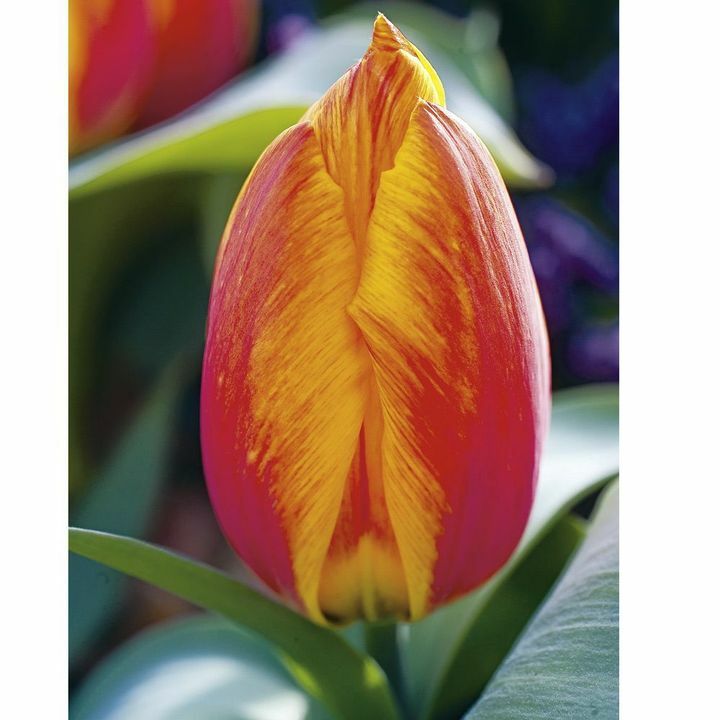 Veronique Sanson (Triumph) - Sizzling orange Triumph tulip, with tight formed flower. Flowers April. Height 40-50cm. 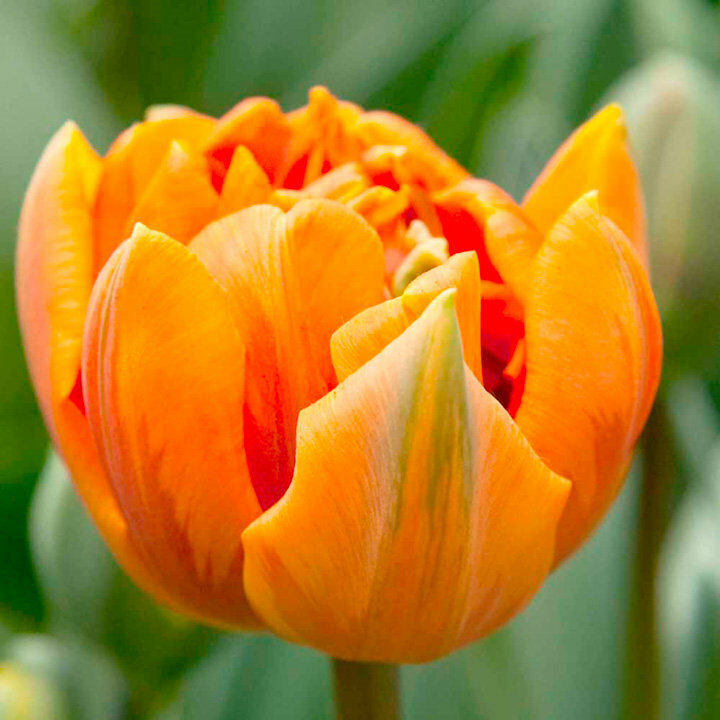 Orange Princess (Double Late) - An award-winning tulip, which is a double form of the popular Princess Irene. 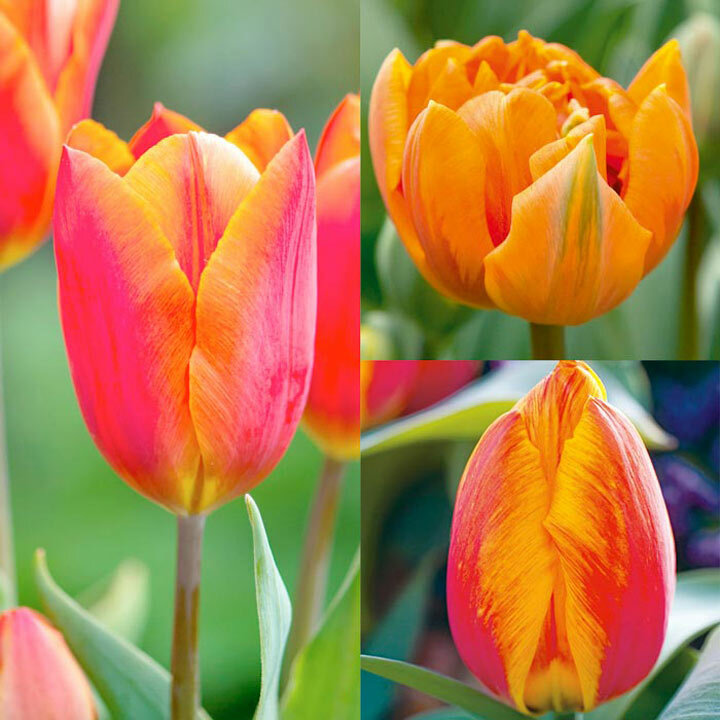 Its sturdy stems support bowl-shaped flowers whose rich orange petals are flamed garnet-red, sometimes yellowish at the base and often tipped with green. The inside petals have a brownish tint. Late flowering. Height 35cm.